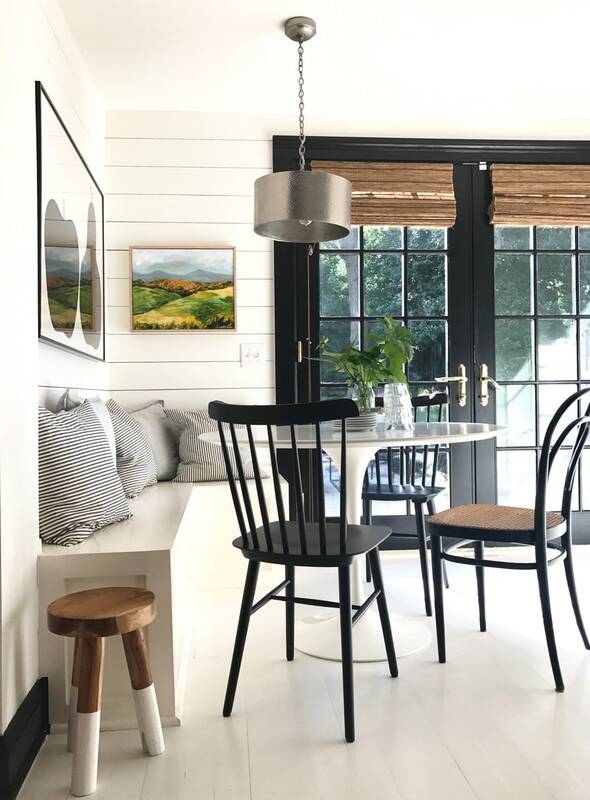 We love round dining tables – I have always been a fan of a round dining table, especially in the kitchen. We purchased our 42″ round Saarinen table about 15 years ago. It seemed like a lot of money at the time, but I have always loved it and knew it was worth the investment. It has been in at least 6 homes and each time I love it a little more. 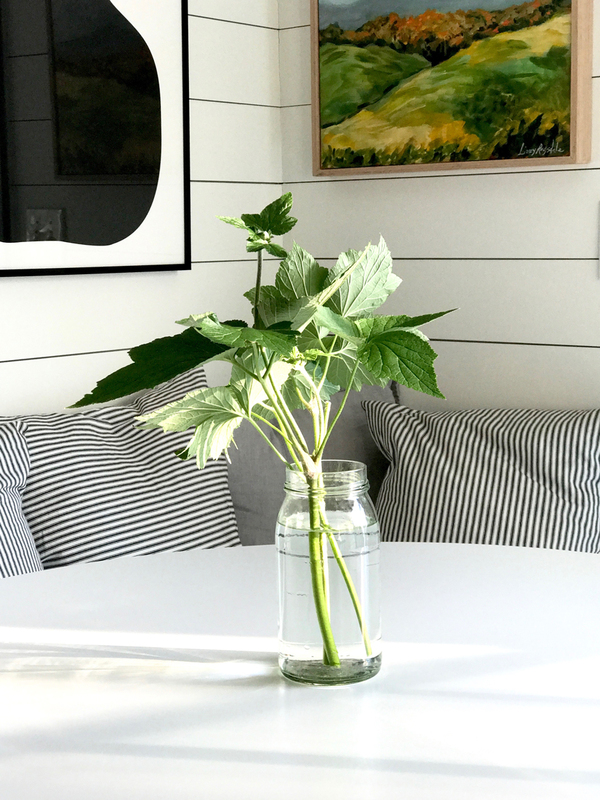 In our current home, Brent built a simple corner banquette. The area in our kitchen was just begging for one. 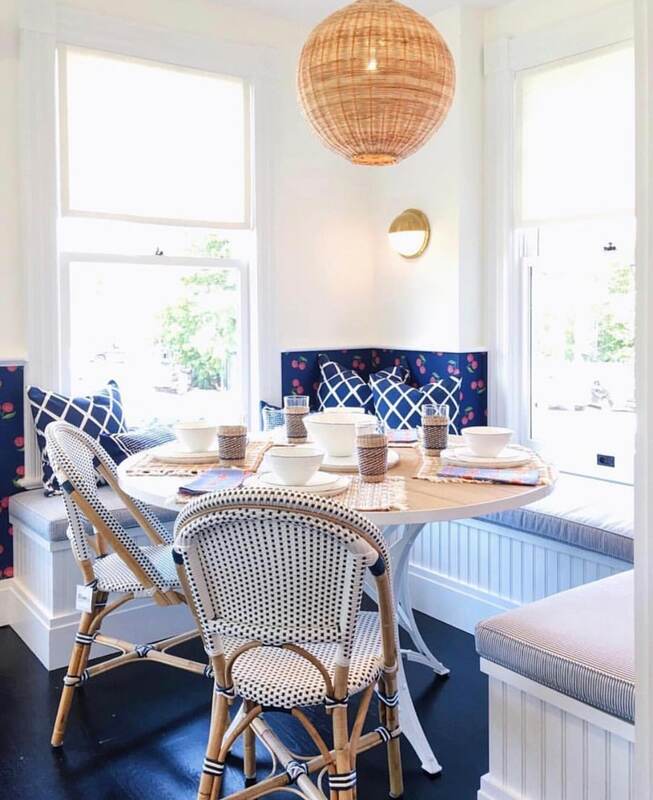 What I love about round tables combined with a built-in banquette is that it always says, “There’s room for one more.” A table with four chairs often leaves one kid saying, ‘So where am I supposed to sit?” My friend Amanda in New Zealand says round tables and banquettes are convivial. Now there’s a word I need to use more often. It’s true, they really are a bit more friendly. I love this part of Serena & Lily in Westport. If you’re ever looking for me—I’m probably in the kitchen. The Charlotte table with cushions made using the diamond fabric and Riviera arm chairs—love! I can’t wait to see what they do for fall! The photo above is when the store first opened using the Blossom wallpaper. 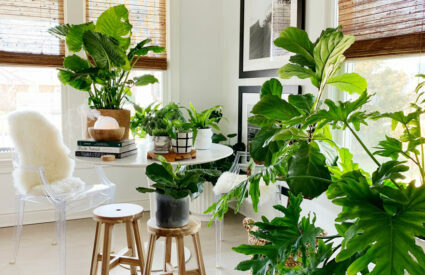 Such a happy and inviting space. When little ones visit the shop they love to find a spot right here. In our kitchen I added in a vintage Thonet chair that my friend found for me a couple of years ago at the Boy Scouts Tag Sale in New Canaan. It needed to be re-caned, but it was only $2 and I found the most wonderful shop in the city. Veteran’s Chair Caning on 10th Avenue offers hand or machine caning and they’ll even come to your car to pick up your chair so you don’t have to find parking. I love to mix it up and adding one more chair just made sense. Summer means free flowers…I love to clip whatever is growing in the garden. These are actually anemones, but it will still be a few weeks before they bloom. 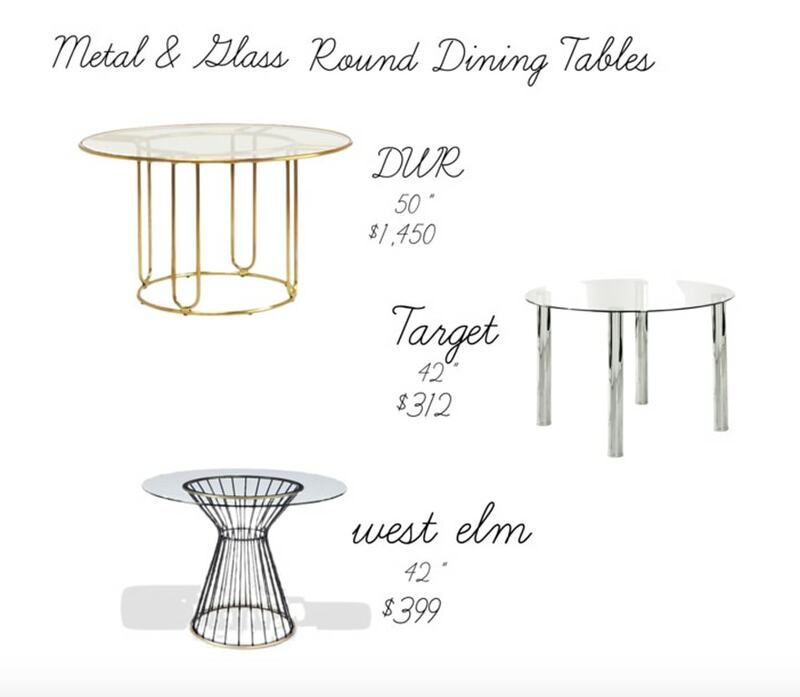 Below are ideas for round dining tables and I included the cost, size and store…because I think that helps in the process. Three white round tables including the exact one we own. There are many options for the Saarinen. 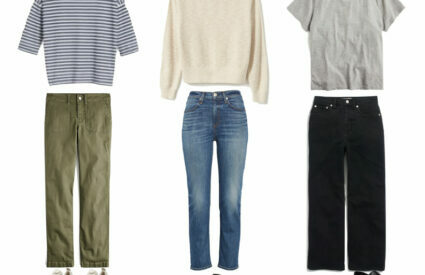 Choose your base, top and size. 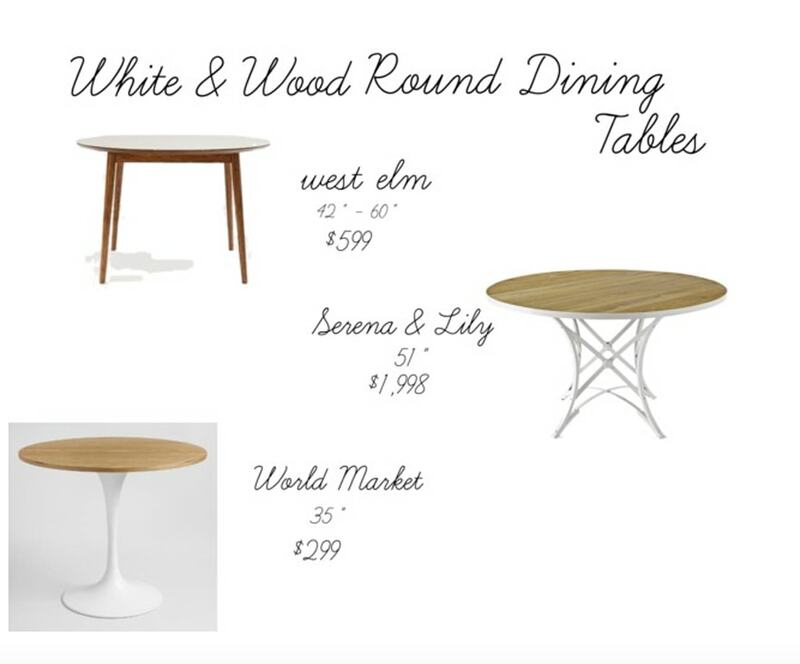 The Serena & Lily Downing table comes in three colors including white. 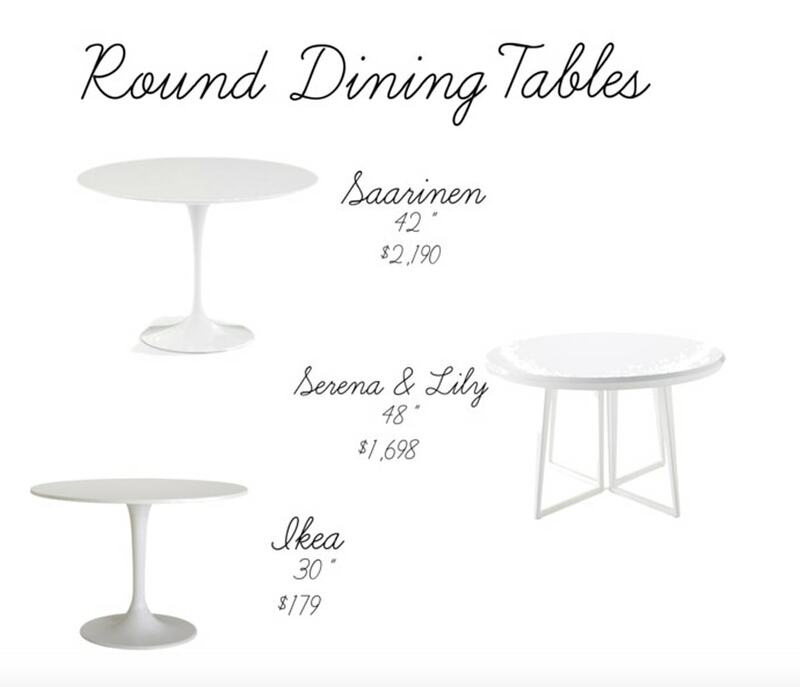 And for under $200 , Ikea’s round white table is a steal! Growing up my best friend had a glass top kitchen table. Mrs. White had impeccable style. I wonder if she still has that table? 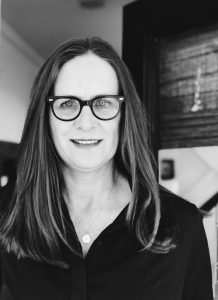 I wrote about how Mrs. White inspired my own style here. The west elm table is a collaboration with Fishs Eddy. 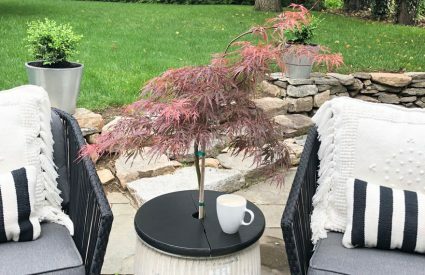 What I love about this one is that 42″, but has a drop-in leaf that takes it to 60″ which means you can go from seating 4 to 6. All of the above is BRILLIANT and so very inspirational. 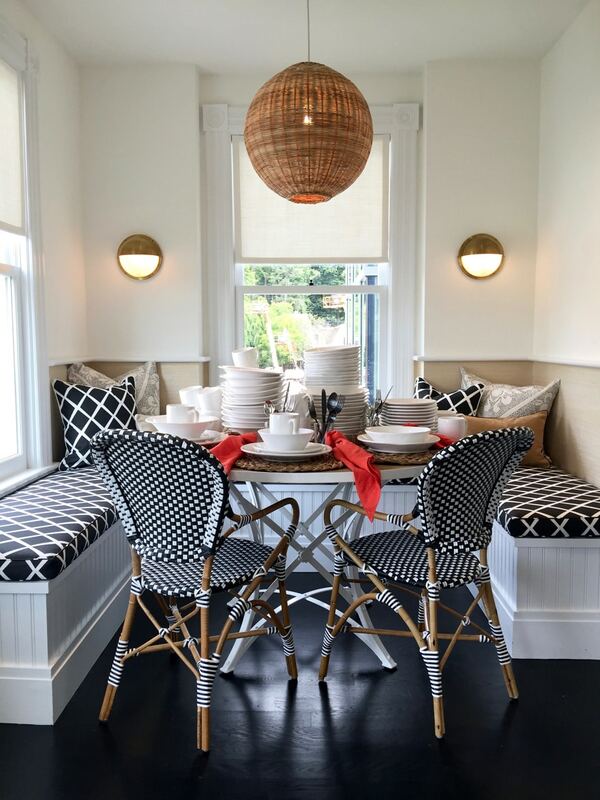 Your banquette is warm and cozy, Annie! Does the Saarinen table scratch easily? I have toddlers. We have the laminate top and it’s the least expensive and maybe the most durable! We’ve had it all through the school age years and every craft project, book report with Sharpie markers, paint and glue and everything comes off without a scratch. If you buy a Saarinen, chances are you’ll gave it forever! My kids are now 18 and 23 and we still love it!